The BBC has kept hold of the rights to show Premier League highlights from 2016 through to the end of the 2018/19 football season. 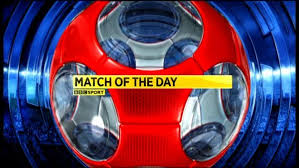 The news means Match of the Day is secure for another three years beyond the expiry of the current rights period. As part of the new 2016-19 deal, there will be a new highlights show airing midweek on BBC Two (HD) at 10pm. BBC Director General Tony Hall responded to the news saying: "Fantastic news that we have kept the Premier League highlights. It’s the best and most exciting league in the world." The BBC paid £204 million for the rights, up 13% on the previous rights round. There had been speculation in the media industry that ITV would try to out-bid the BBC for the rights, but this failed to materialise. Discovery, BT and Sky are all believed to be in the running for the live Premier League rights, with an announcement expected in February, although Virgin Media has asked Ofcom to intervene to pause the auction of Premier League rights while an investigation into the award of football rights is carried out.